England Handball CEO David Meli has expressed his delight at the recently announced partnership with Pulseroll. Pulseroll was unveiled as an official partner at the England Handball Cup Finals weekend, that took place at Derby Arena. 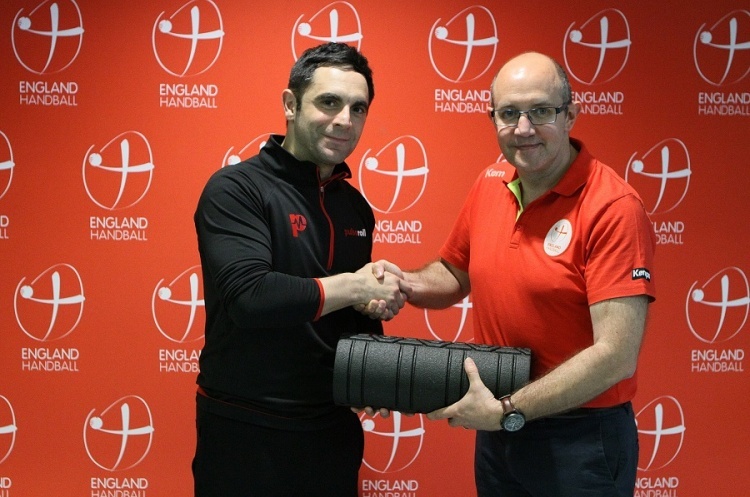 David Meli said: “England Handball is delighted to have announced Pulseroll as an official partner. “Handball is a physical sport and so the Pulseroll vibrating recovery products are perfect for reducing muscle soreness – as well as increasing flexibility." The teams that have tried them so far have loved them and we hope that more clubs and players will be able to benefit from this partnership."